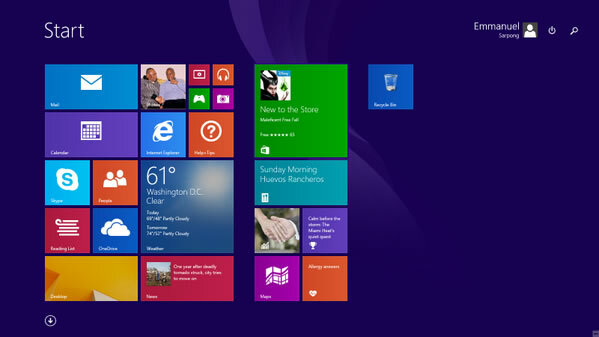 Home > Deals-In-Gh > Windows 8.1 and Windows RT 8.1 Update, What’s new? Microsoft has released a significant update for the desktop operating system and RT devices like the Microsoft Surface. In this update keyboard and mouse users will experience improvements designed instinctively for them. The operating system is very user friendly now to Keyboard and mouse users, as the first was more touch inclined. What is evident is this; when you are using a mouse, windows optimizes for a mouse and when using touch it gives you touch options. You can find the new power and search buttons in the upper-right corner of the Start screen next to your account picture. You’ll be able to quickly and easily shut down your PC or search for things right from Start. If you enjoy working in the desktop environment, you’ll see both desktop apps and metro UI apps from the Windows Store in your taskbar when they’re running. 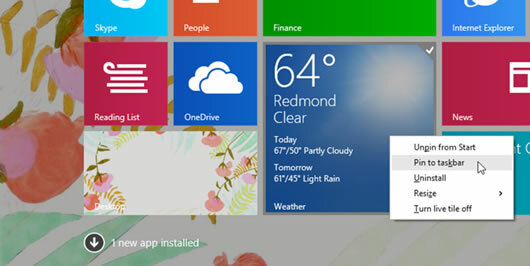 You can also pin any app to the taskbar so you can quickly open or switch between apps from the desktop. When using a mouse you’ll be able to see the taskbar from any screen, including Start or a windowed (metro UI) app. Move your mouse pointer below the bottom edge of the screen to show the taskbar and then click an app to open or switch to it. If you call yourself a desktop person and not a fun of the metro UI apps, you can sign in/boot directly to the desktop instead of the Start screen. If you have a change of heart/mind and want to sign in to start instead, you can change this setting at any time. Your mouse now works more consistently anywhere in Windows, just your mouse to the top of the screen to see Close and Minimize buttons in any app. Move your mouse down to the bottom of the screen to see the taskbar from anywhere in Windows. If you’re using a mouse and you right-click on a tile on Start, you’ll see a context menu next to the tile that shows what you can do with the tile. It’s now simpler to find new apps, you can discover apps when you use the search charm, and Bing smart includes apps in the search results. You also can now easily see your most recently installed apps. If you’re already running Windows 8.1 or Windows RT 8.1, Windows 8.1 Update and Windows RT 8.1 Update are available for free through Windows Update. Have you installed the update, have you noticed any changes, are you skeptical sound off in the comments.